Whenever I sit to think about a wheel of the year festival, nearly every time I'll find myself thinking, "Ah, [insert festival name] is one of my favorite festivals." Now, it is quite likely that all the festivals have been at one time or another my favorite - it is far more likely, if I'm honest, that they are simply all my favorite at once. 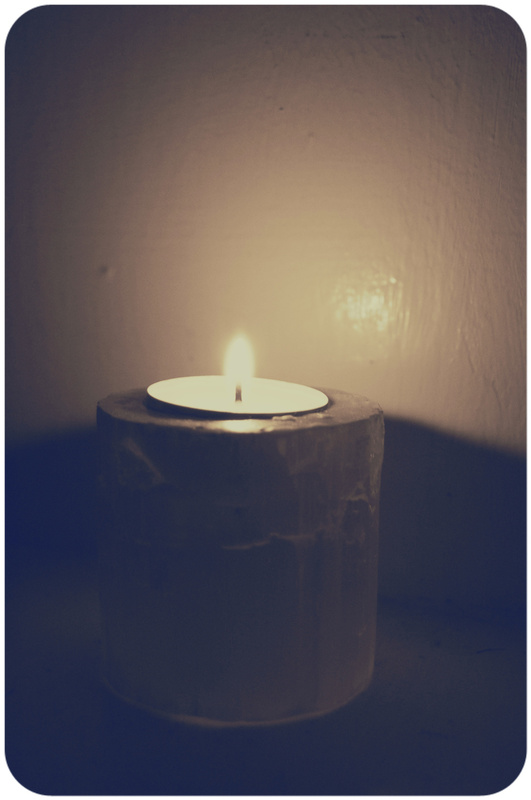 So, let me tell you why, right now, Imbolc is one of my favorite festivals of the year. I begin dreaming about Imbolc around Samhain when, with my beloved community, I celebrate the new year. As part of my new year festivities I think of what I hope to learn and sink deep into with the coming year. I take these ideas with me down the inward spiral towards the Winter Solstice, shedding some, keeping others, realizing what my commitment my require and how I need to prepare myself. By the time Imbolc comes around my dreams are firmly stirring in my belly, my central core, and I am ready to make the vows of my practice for the coming year, until next Imbolc comes round. I love making vows - I do not make them often, nor lightly, but I find them freeing when I am able to speak of what I am seeking, who I wish to grow into, and how I am planning on remaining accountable - I get excited about the adventure ahead. What about the plantfolk of Imbolc? The word Imbolc is from the Gaelic for "in the belly" and speaks of the promise of spring, even when winter lingers. Think of the earth stretching before arising from her winter bed and her blood warming beneath her skin of soil. Astrologically, Imbolc marks the halfway point between the Winter Solstice and the Spring Equinox at 15 degrees Aquarius. In astroherbology, Aquarius guards body systems such as the lower legs, including calves and ankles, electrical impulses of the nervous system, the adrenal system, and the circulation of blood. We now have a few clues as to what plantfolk we might call upon around the time of Imbolc, including grounding nervines, nourishing adrenal tonics, and blood-strengthening herbs. NETTLES (Urtica dioica) I came to know Nettles when living in Portland, ME (If you've never been, you should go. I'll wait here, no worries.). It was through Deb Soule of Avena Botanicals, both in her writings and meeting her in person, that I learned about these stinging jewels as a nourishing daily tonic. Nettles restore vitality, help us adapt to stress, lend their gentle cleansing quality to promote healthy hair and skin, and are useful for easing symptoms of seasonal allergies. I've found Nettles to be very strengthening to the adrenals, especially when burnout has already occurred or someone is on the verge of burnout. Kiva Rose specifically recommends Nettle Seeds as an adrenal tonic. Nettle leaf is particularly accessible with its mild taste, and who doesn't love a cup of beautifully green goodness? Nettles are drying, fiery, and help to build and cleanse the blood which is why, along with their adrenal tonic qualities, I find them to be a great herb for the Imbolc season. Sometimes Nettles are used in traditional sauna settings, where they are bundled into switches either alone or with other medicinal plants such as Birch, and hit on the body to invigorate the skin, bring blood to the surface, and transfer the greening vigor of the plant to the body of the person being whacked. And, yup, for those of you following along you'll see that I also recommend Nettles as a Spring Equinox herb - it's just that good. Magickally, Nettles add energy to ritual and spellwork, act as a protective barrier, can be used to bless ritual tools like the athame, and the herb is guarded by the planet Mars. MACA (Lepidium Meyenii) I realize that Maca has appeared more than once as a recommended herb on our little blog and, guess what, we're talking about the tuber again for the season of Imbolc. Maca is excellent for the adrenals, helps the blood breathe, wakes up our metabolism, assists in mental clarity, and is one of my favorite adaptogens. The tuber is very nutritious containing an array of vitamins and minerals. Think about how you're feeding your body after the sojourn of winter - Imbolc calls us to cleanse, wake up mindfully, and give our bodies simple but strengthening food. Some folks don't like the taste of Maca, but sometimes what has happened is that a Maca concoction, whether a hot chocolate with Maca in it or a raw chocolate bar containing Maca has been allowed to sit too long and the Maca has gone bitter and very drying. Maca concoctions should be consumed soon after they are prepared before the taste of the herb goes off. GINGER (Zingiber officinalis) Imbolc is a fire festival, so we must have a fiery and warming herb (compared to our fiery but cooling herb, Nettles) such as Ginger as part of our festivities. Another sturdy root, Ginger warms where their is cold, from tense muscles to general chilliness. If you have chronic cold feet and hands, consider a hot foot and hand soak with fresh Ginger. Divine! Ginger moves the blood, stimulates digestion, and can be used as a fresh compress on cold muscles and on the chest in cases of stagnation, helping to break up mucus. Where sluggishness dwells, think of using Ginger, whether it is sluggishness in a specific organ or a general energetic slowness. Matthew Wood shares a piece of wisdom from Margi Flint about Ginger connecting birthing folks to their children and encourages those present at the labor to share in drinking Ginger tea to promote a sense of connection with the labor. At Imbolc we connect to the land in labor and a piece of Ginger on your Imbolc altar can symbolize the child of spring about to be born. I recommend Lemon Verbena to many folks who either have their Sun or Moon in Aquarius, however, it can be useful for many folks at Imbolc since it is an essence that brings out the best of our exuberance, vitality, and encourages us to live life with bucketloads of laughter. As an Aquarian plant, Lemon Verbena helps us to break through outmoded forms of thinking that have led to conflict, stagnation, and resistance in our lives. Medicinally, Lemon Verbena is antispasmodic and is especially useful for cramping stomachs brought on by emotional tension. It is cooling and calming, soothing both to the nerves and helpful in the dispersal of fevers. A sturdy plant, Manzanita is an excellent essence of integration, specifically the the integration of spirit with matter. The dark half of the year can be very inward-focused and sometimes we travel so far inward we seem to flow beyond the material into the galactic. 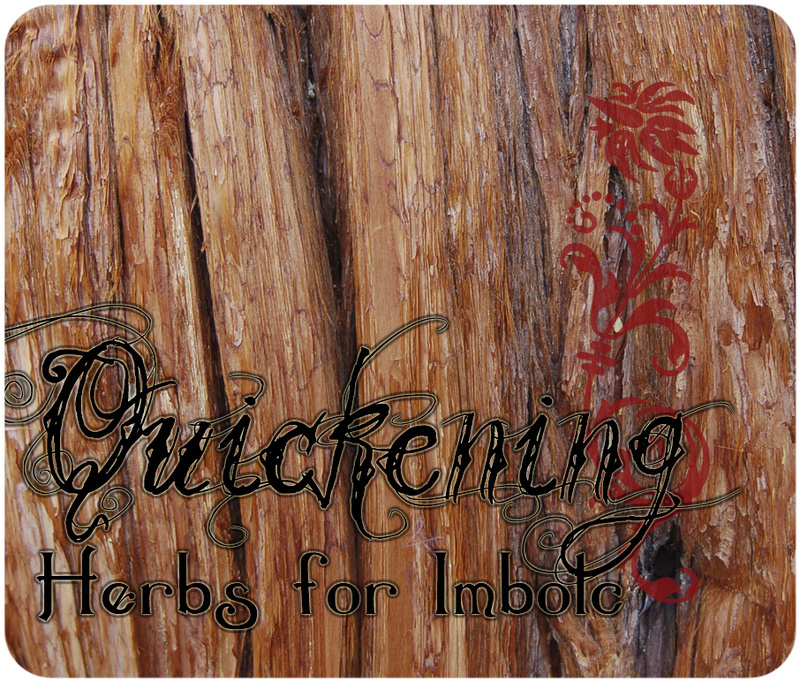 Imbolc calls us back out after the journey inward. Manzanita helps us to anchor back to the physicality of the present, the changing season, and the importance of giving our spirit a rooted compass so we don't lose our sense of self. Our friend Manzanita helps to restore faith in our body - so many of us struggle with disordered ways of understanding our body that can lead to self-loathing and low self-esteem. The plant is particular powerful when supporting those working through and recovering from eating disorders. Manzanita reminds us that we are not broken and while our bodies can feel challenging, we can reside in them on our terms, with beauty and purpose and compassion. Evergreens such as Pine and Cedar are also welcome during the Imbolc season, helping us to release the last remnants of bronchial complaints, rebalance our nervous system, and bring warmth to our bones. Also, consider Flower Essences such as Snowdrop and Daffodil which both appear around Imbolc, harkening the early approach of spring. I wish everyone a bright and blessed Imbolc! May your light be bright, may your community be strong, + may the promise of awakening earth enliven your spirit! We respect your privacy and will not share your information with anyone including daffodils or lambs. Thank you for signing up to Magick Mail! Once you've confirmed your subscription you'll get access to the super secret member's only area full of herbal goodness!